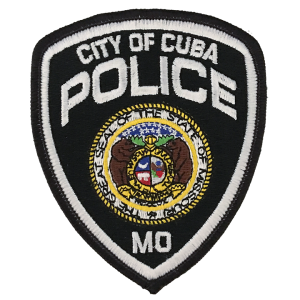 The primary mission of the Cuba Police Department is to keep the peace, enforce the law, and ensure public safety in Cuba, Missouri. With great pride and dedication, our goal is to maintain the respect, confidence, & approval of the citizens/public we serve. Here at the Cuba Police Department, we believe the community plays an important role in helping us gather information for numerous crimes that have been or are being committed within our area. We would like to offer another way for citizens to report any kind of criminal activity, past or present. We now have a dedicated tips telephone line where citizens can leave information for us, and if they wish to do so, can remain anonymous. This is a voicemail only line so if you wish to speak to an officer about something immediately you will still need to call our office at 573-885-7979 or after business hours at 573-775-4911. This voicemail will be checked on a regular basis so if you do leave your name and number with the information you want to provide, an officer will contact you when the message is received. The number to our dedicated tips line is 573-885-0511. We look forward to working with and for you.